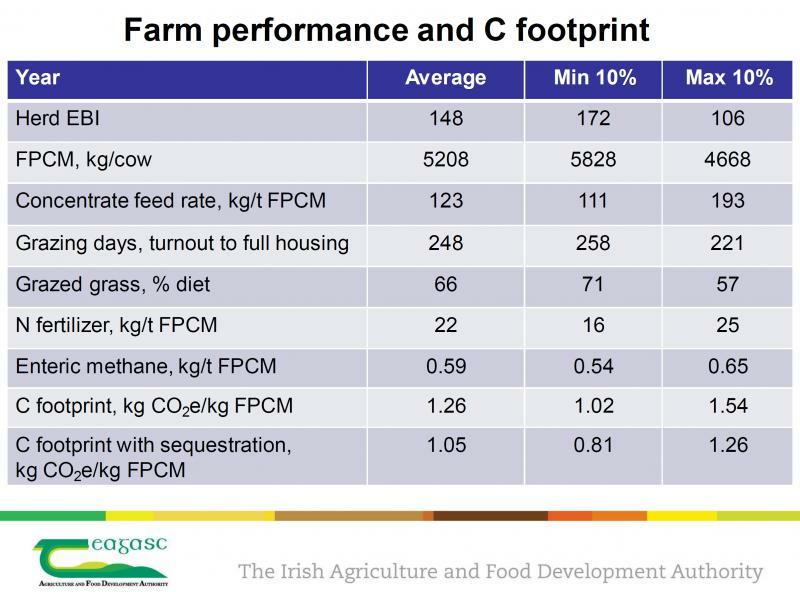 The study below shows herds achieving this pattern of high output from fertility and grazed grass to have the lowest carbon footprint. 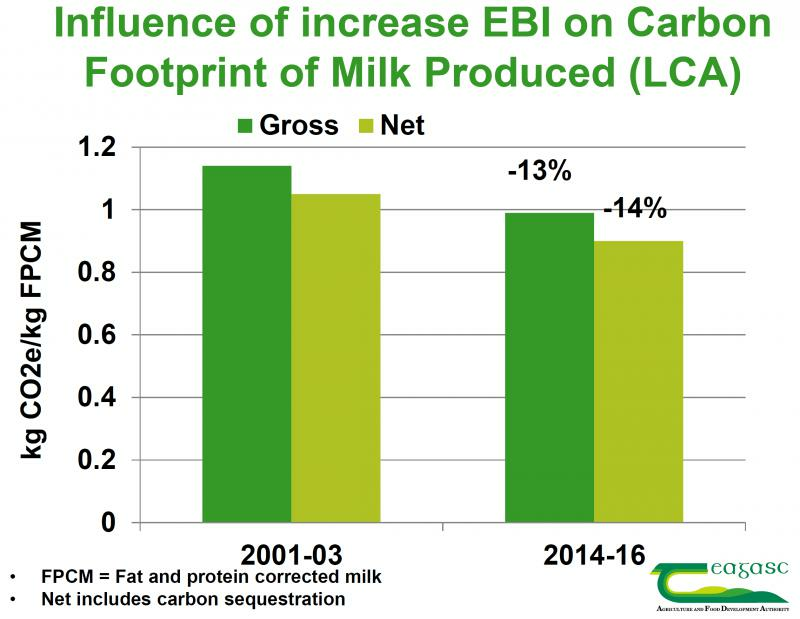 Another study by Teagasc has shown that with the increase in EBI over the past number of years the GHG per Kg output is reducing. 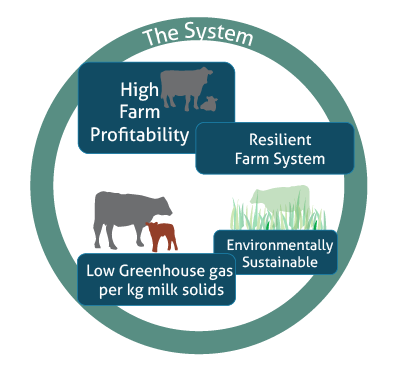 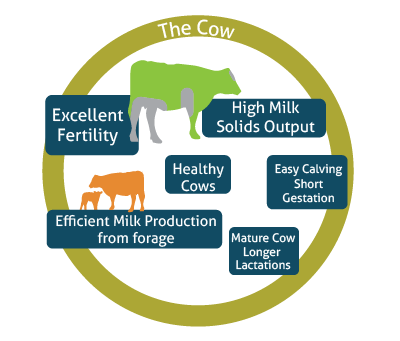 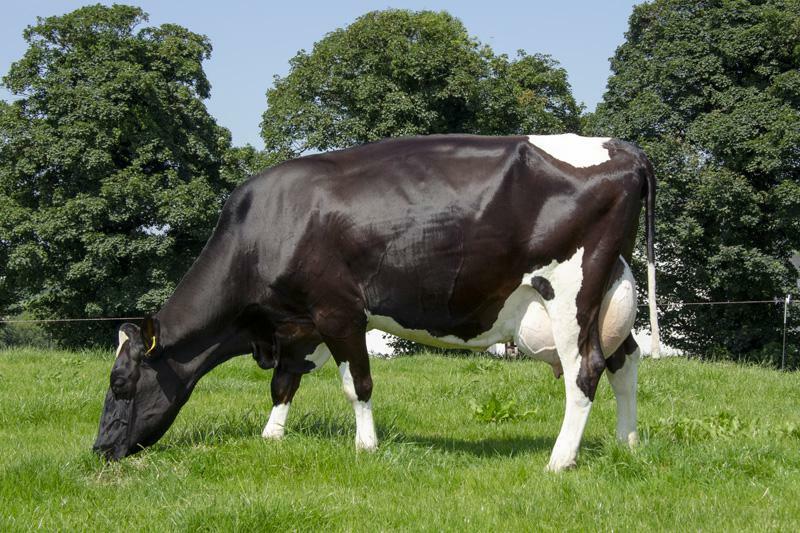 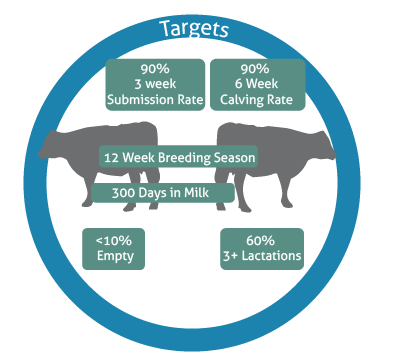 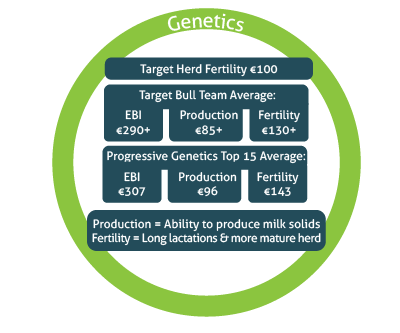 Project500 takes these principles and sets targets for Irish farms which start with excellent fertility and create the potential to increase national average output per cow from 410kg milk solids up to 500kg.